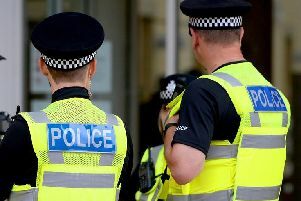 Lincolnshire Police are saving about £90,000 a year in a new initiative which sees the force managing law enforcement information for five other police forces. The force now manages crime, calls from the public and custody records held on police databases for constabularies in Nottingham, Derbyshire, Northamptonshire, Leicestershire and even London. The force’s Review, Retention and Disposal (RRD) team review the records of people with law enforcement information ensuring they are up to date and not kept longer than they need to be. Nationally there has been a requirement for consistent and efficient management of this ever since the Soham enquiry in 2003, when national guidelines were published for how forces handle and share data. Richard Burge from the Information Management Unit, said: “We are delighted to be supporting these constabularies and proud that the way we work is held in high regard by other forces. “Ever since the Soham enquiry we have been working hard to make sure our records are accurate, concise and easily researchable for our officers and staff. “They can now find information on a potentially dangerous person in minutes, helping them to make quick and incredibly informed decisions. The news has also been welcomed by Police and Crime Commissioner, Marc Jones. PCC Marc Jones said: “Utilising the best possible information technology is crucial to providing the most effective and efficient policing possible.